One of the oldest creatures on earth, dragons come in many shapes, sizes and colors. Most can fly and breathe fire, and most are delighted with treasure and gold. There are few creatures more intimidating. The ancient Eens once had a dragon egg that they believed long dead. They stored it in the vaults deep beneath the Elder Stone until the sorceress Esme Evermoon took the egg and cast it into the wilds of the outside world. 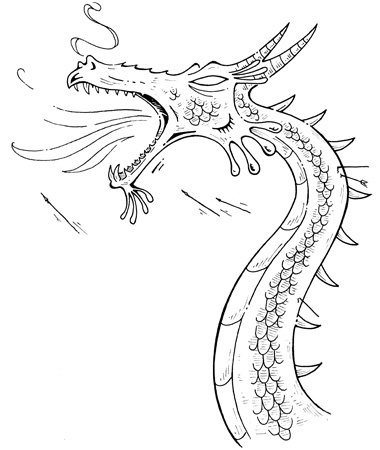 The young Een heroine, Kendra Kandlestar encountered many dragons through the course of her adventures. She confronted the sinister serpent known as Rumor the Red Dragon while searching for the Box of Whispers. Much later, Kendra found herself in the fierce Rumble Pit, where several dragons had been captured and forced to fight for survival. These dragons were much smaller than the gargantuan Rumor, but were still formidable and dangerous.